An interesting wooden gesso mould carved with a panel of laurel leaves. 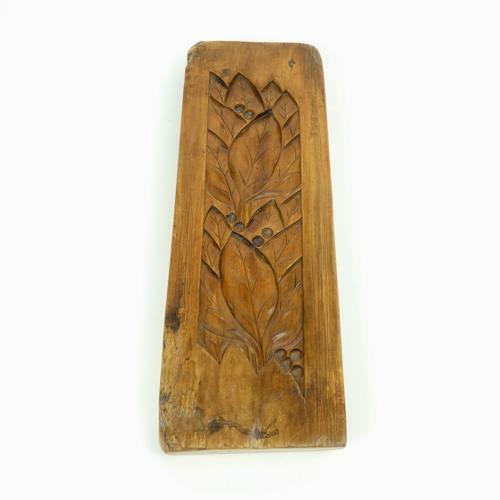 This piece is carved in boxwood and it dates from c.1820. Originally it would have been used for moulding gesso and going by the form of the design it was most probably for moulding plaster frames. It is very well carved and the design is quite deep. There is a crack in the wood, to the reverse of the piece, but this does not go through. It is in very good condition.